Lots of instructors struggle to earn money when they have first qualified and can make some costly mistakes without even realising it. For just £50 we will greatly reduce the chances of this happening as well as helping to save you money on such things as vehicle costs, breakdown cover, advertising, and telephone answering personnel. It will also help you get your image and pricing right from the word go! Have someone answer your phone for free (well almost) and be the best salesperson you could ever dream of! Access the names and addresses of people in your area who are just about to become 17 during those quiet winter periods, and it’s free! Get fixed depreciation on your tuition vehicle regardless of the miles you may clock up on it, so it will always just cost your monthly repayments (plus routine servicing) and no more! That’s after we have got you a great deal on your new vehicle. Reduce the cost of your fuel, save around 5p per litre every time you fill up! This varies depending on area! Running a diesel? How would you like the fuel to go 10 to 20% further! Makes it quicker too! Free websites and advertising! Sounds too good to be true but it is available if you know how to go about it. What have you got to lose? It is just £50 and you should easily save this in the first year on fuel alone! PLEASE NOTE: This will be in the form of information sheets and photographs posted or emailed to you. 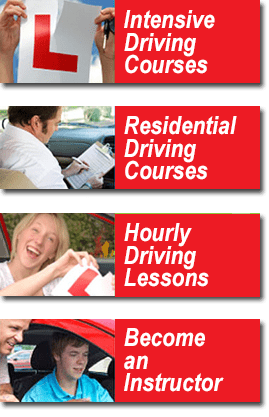 Just received a low check test result or just feel there might just be a better way of getting your points across then book our 5 hour training course designed to improve key aspects of driving instruction. Look at the list below of the points we cover and if you are not sure of any of these then you really do need to book a course and sooner rather than later! Given on a one-to-one basis by a top grade instructor who has been a grade 6 for the last 20 years. If you are having problems this could be the best £175 you will ever spend! Remember too that it is 100% tax deductible!